c We bought our house just a few months ago and although we have a good amount of outdoor space, there are only a few areas to create a charming lounge area. I’ve always wanted a hammock to relax in. But not just a plain hammock, I’m talking about a hammock oasis! 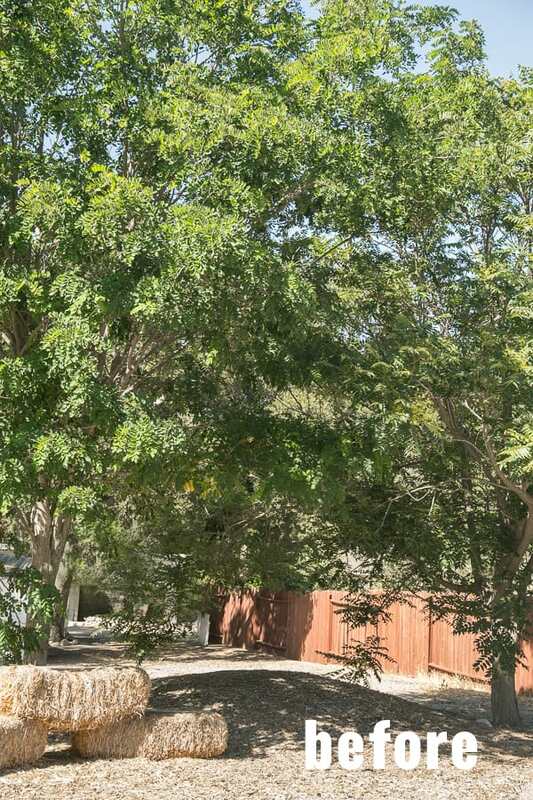 An area for guests to just lay back and fully soak in the country feel of our property. It’s the perfect spot to have a nice cocktail and good conversation. It’s like an extension of our indoor and outdoor space! Before, the area was just two trees in the middle of the yard screaming for a hammock, and now it’s a mini hammock oasis and we’re loving it!! Gently swaying away stress and experiencing island life right in my backyard! 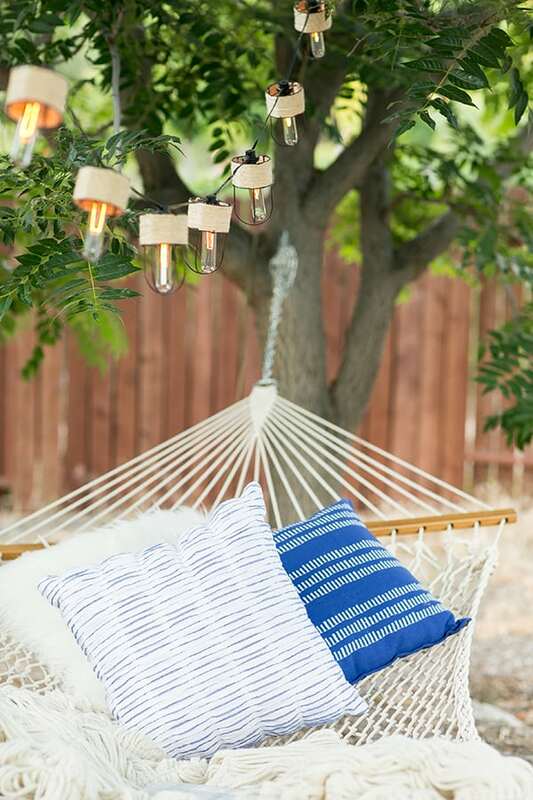 To achieve our little lounge area, we teamed up with Target to share my 10 must-have items for creating this hammock oasis! 1. 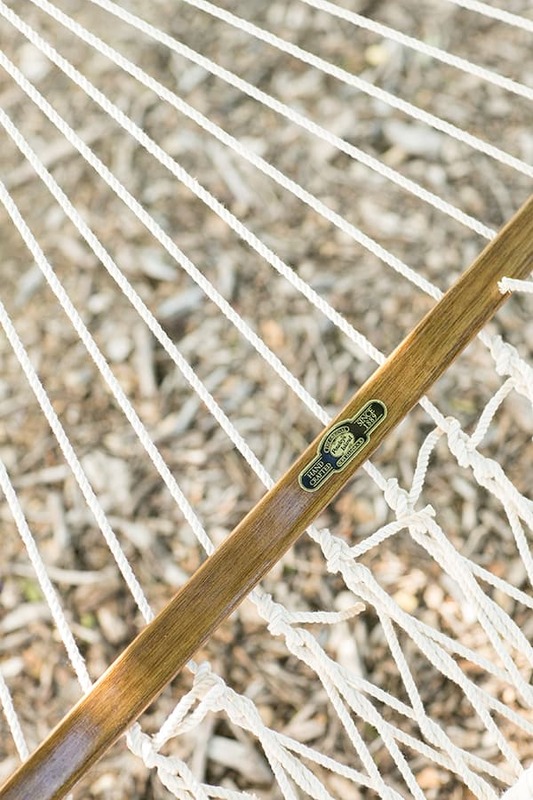 Hammock – I really love this one from Target. It’s presidential size and has a 3 person capacity. 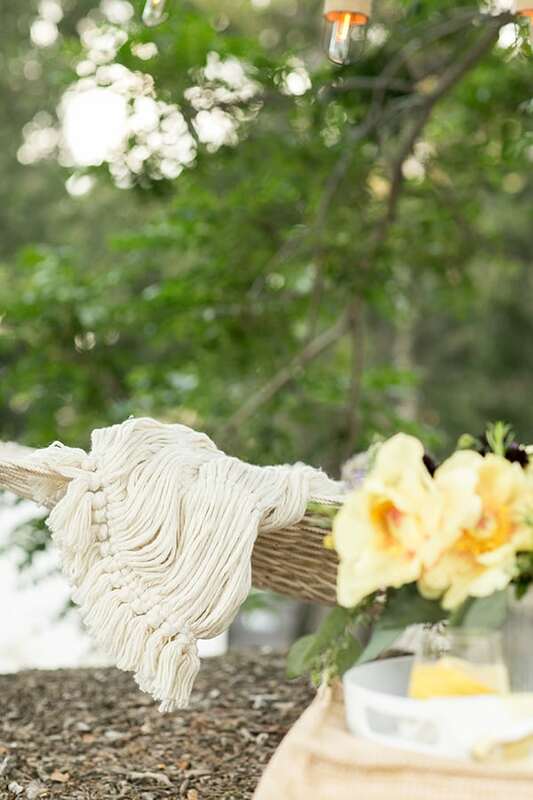 It’s an open weave with a creamy neutral color so it blends in really well! 2. 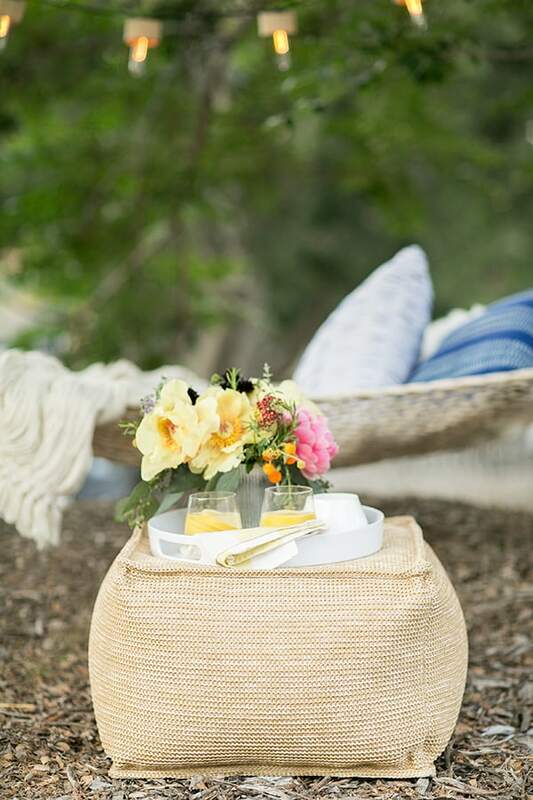 Side table – I love having a table next to the hammock for lanterns, candles and a place for guests to set drinks. It’s about the same height as the hammock, so it’s comfortable to reach. 3. 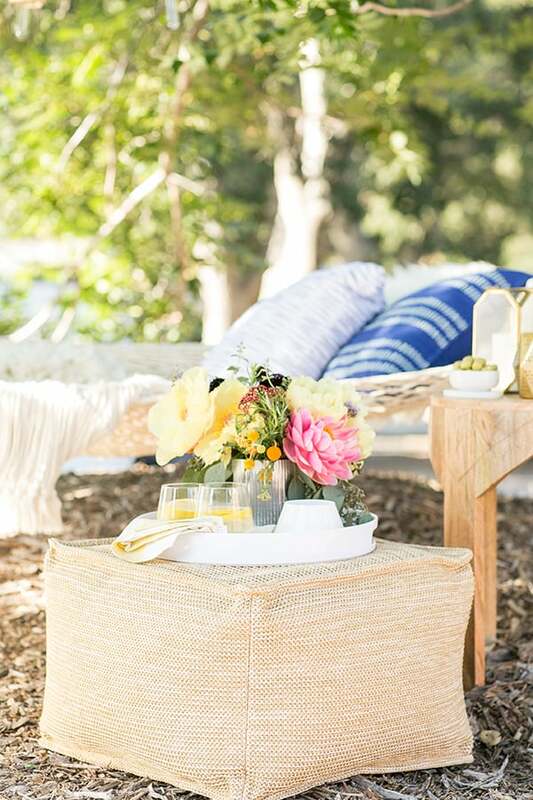 Pouf – This comfy outdoor pouf is great for extra seating or to set a tray on for food. 4. 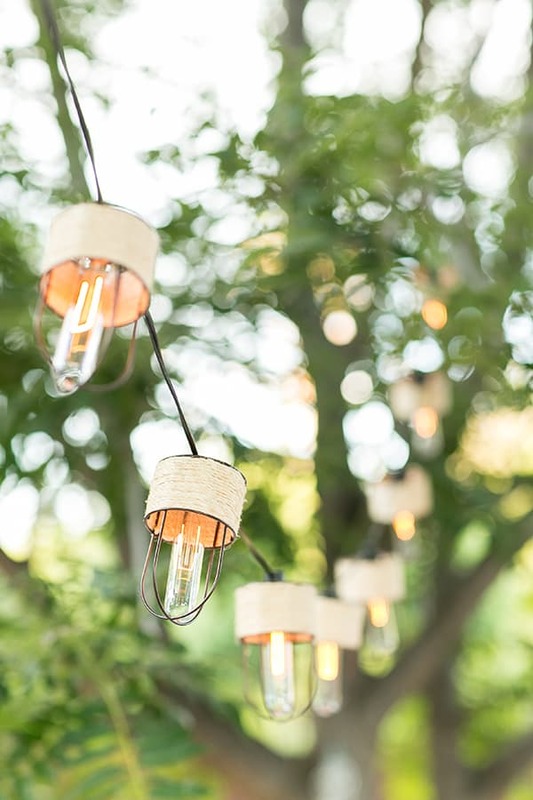 String lights – Nothing sets a more romantic atmosphere than string lights! Loved the vintage vibe of these! 5. 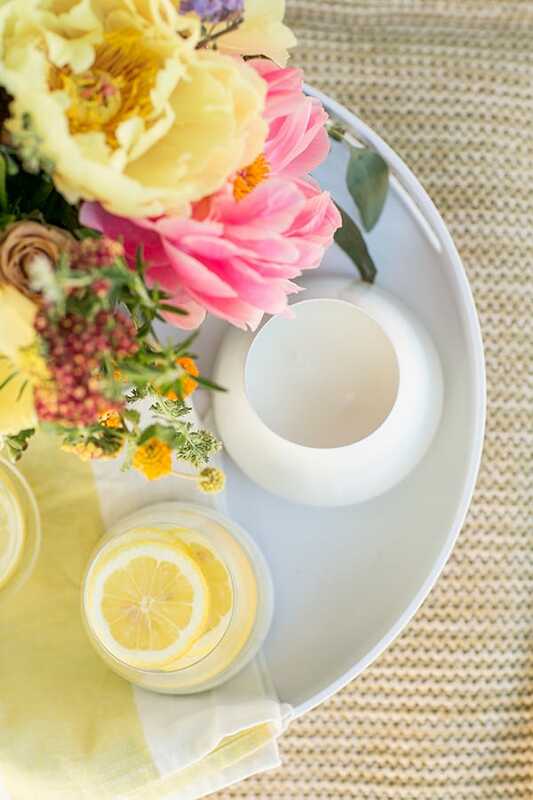 Citronella candles – Keep those bugs away!! These are a must during the summer months. 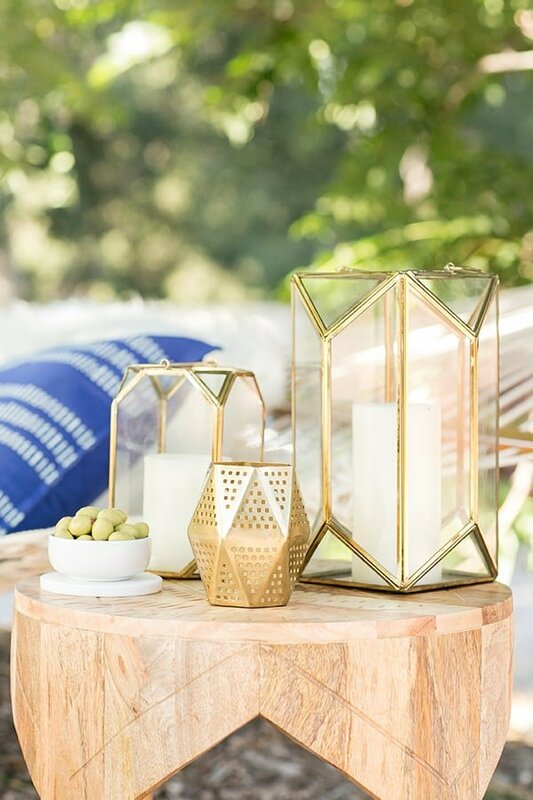 I adore this modern citronella candle for the side table. 6. Pillows – A must-have for creating a laid back, relaxing environment. Having a pillow to lay your head on in the hammock makes a world of difference! Pillows are also a great way to add a pop of color to your space. I used this one and this one. 7. Lounge blanket – It gets chilly at night (even in the summer time), so having some blankets on hand is always a good idea. This is one of my favorite throw blankets from Target. 8. An acrylic tray – Perfect for serving food and drinks, you can place it on the pouf. 9. 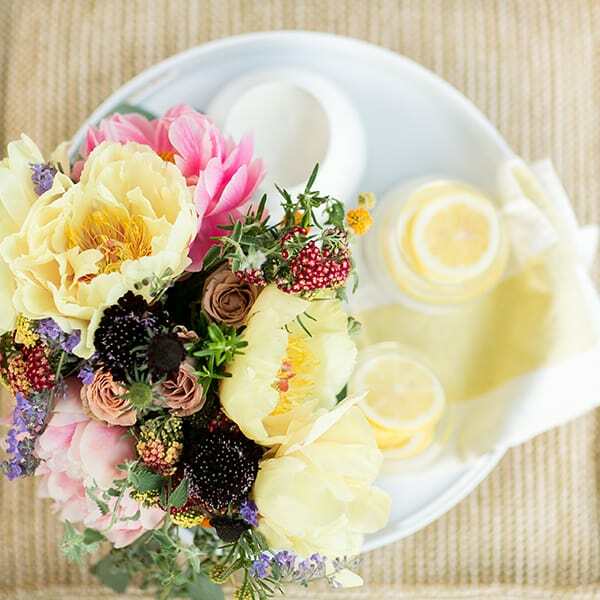 Fresh flowers (if you’re having a party) – Fresh flowers add instant decor and create a charming ambiance. 10. 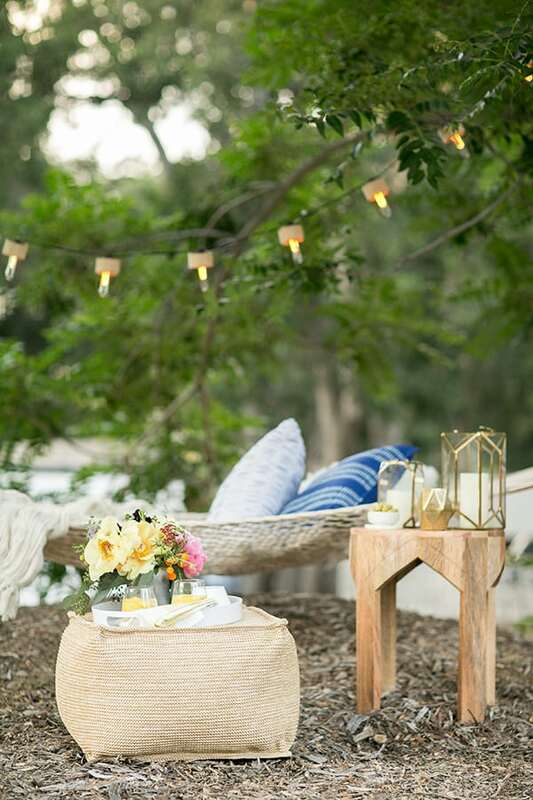 Lanterns – Just like string lights, lanterns and candles create a warm, inviting and romantic atmosphere. Beautiful! I love your backyard!